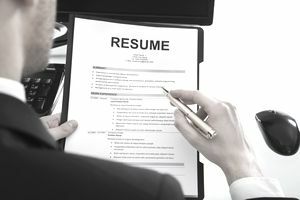 The average recruiter or hiring manager spends only seconds looking over an applicant’s resume. To get the interview, you need to make your experience stand out – and quickly. A bulleted list can help you build your case. It shows the employer quickly and easily that you are a good fit for the job. Bullets allow you to highlight your most relevant accomplishments and separate your job duties, skills, and work history as separate points. A resume using bullets is different from one in which achievements are listed in paragraph form. For any past work experience you list on a resume, you will want to include duties and accomplishments that relate to the job you’re applying for. You can list these in bulleted form. Not sure which skills and achievements are most important? Review the job listing, and match your qualifications to the job. You may also want to include bullet points when you list duties or achievements in volunteer or educational experiences. For example, when you list your education, you might include bullets that list awards, scholarships, and other achievements that relate to the job. You can also use bullets in a resume summary, in which you list the skills and achievements that make you a good fit for the job. Beneath the basic information for the job or volunteer experience (for a job, this often includes your job title, the company name, and years worked), include a bullet for each duty. Each bullet point should include a concise phrase or sentence that begins with an action word. You do not need to include a period at the end of each phrase. However, if you choose to use a period for one phrase, you have to use one for every bullet. It makes your resume look uniform. Use simple bullets such as circles, hyphens, or small squares. Avoid other symbols that might look too confusing or might download incorrectly. Keep things simple to avoid any formatting problems. Make each bullet point unique for the job you’re applying for. Select duties or achievements that match the qualifications for the job. Include 2-4 bullet points for each job or volunteer experience you list. Once you have created a resume with bullets, you can change the bullet points when you submit your resume to each new job. It is a quick and easy way to create a unique resume for each job application. Created staff development plan that included training opportunities to encourage growth and increase responsibility. Identified by customers in surveys as a strong communicator. Coordinated annual volunteer banquet for 100 volunteers and athletes; booked venue, ordered food, and decorated venue each year. Review resume examples: These resume examples and templates provide job seekers with examples of resume formats that will work for almost situation. They’ll also help you determine whether bullets are appropriate for your experience and resume format. Keep It Consistent: If you use one style of bullets for a section, use them throughout. Don’t switch to another design halfway through. Similarly, keep your font choices and sizes consistent throughout your resume, cover letter, and other application materials. Simple formatting is best. You want to emphasize your experience, not your stylistic choices. Prioritize Your Content: Bullets can help your experience stand out, but they’re not the only tool at your disposal. The most important thing you can do to draw the hiring manager’s attention is to list your most compelling skills and abilities first. Then, use bullets to draw their eye to the details that make your case.